When a young vampire picks up a first time prostitute, both get more than they were expecting. Driving through a less than reputable part of town, I came upon him. He huddled in a doorway as rain slammed heavily onto the pavement. Since I was hunting I had my mind open to everything around me. I immediately picked up his entire story. He had left home at seventeen, never graduated, now at nineteen, he couldn’t find work, hadn’t eaten in days and had decided to sell himself. It was a sad story, but being able to see into the minds of men made me numb to sad stories. Instinct told me to keep driving, that he wasn’t my prey. Something felt wrong. As a vampire I was taught from a very early age to listen to my instincts. They were more honed than those of humans. But I liked the boy. His name was Ryan. This was the furthest he had fallen, his first time selling himself. I thought if I picked him up, and left him with a few hundred dollars I’d spare him from a life that would consume him. It was a mutually beneficial arrangement. I stopped my car in front of him. He approached as I rolled down the passenger side window. He wore a green hoodie, covering curly blonde hair. Blue-green eyes squinted at me. He passively wondered if I was a serial killer. I smiled. He trembled in silence as I drove past the edges of the city to a less populated area. When I couldn’t sense another mind other than his for a few miles in any direction I turned off the road. I unbuckled my seatbelt and leaned over to him, asking him to remove his hood. “No kissing!” He said quickly. He had seen that rule in a movie. He thought it might help with his nervousness if I didn’t try to kiss him. “Understood.” I planted my lips on his neck. His body tensed to the point that even if I didn’t have superior senses his discomfort would have been apparent. I bit down. First there was shock and fear. He struggled against me, and then, like always – acceptance. He came to the realization that whatever I was doing to him felt very good. 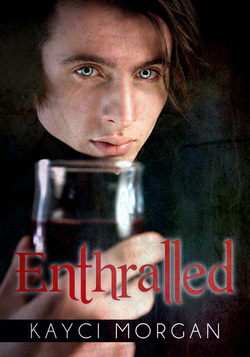 His hands grabbed my shirt holding me against him as I drank deeply. I could feel his erection under my arm. He thoroughly enjoyed my bite. And I enjoyed the taste of him. He was young and sweet. Once I had had my fill, I bit my tongue, spreading my blood over the wound to seal it. I sat up and pulled out my wallet. Taking out five hundred-dollar bills I held them out to him. Ryan watched me through heavy lidded eyes, breathing deeply. I looked into his mind. He loved vampires and the supernatural. He was more afraid of me when the thought I was just a john. Now he was in awe of me, which was ironic since I had to kill him.